Last summer, newly promoted Fulham made a huge financial statement of intent. In an attempt to flood Fulham’s squad with enough quality to keep them afloat, club owner Shahid Khan sanctioned the purchase of 12 new signings for the Cottagers, for a combined outlay of approximately £105m. By the time their intense recruitment drive ended in early August, the club’s summer spending had reached unprecedentedly high levels. In fact, Fulham had smashed the record for the most money spent by any club promoted to the Premier League in the competition’s history. Only Liverpool and Chelsea spent more than Fulham during the English transfer window, and in a further exhibition of the Premier League’s noxious financial clout, it transpired that the Cottagers had spent more money than the promoted sides from Serie A, the Bundesliga, La Liga and Ligue 1 combined. Whether the high-volume transfer strategy was a meticulously planned project or simply an impulsive spending spree by a giddy billionaire, only Shahid Khan will know. However, Fulham’s pay-out certainly hasn’t paid off. Read More: Premier League Analysis: Which Teams Have Improved The Most This Season? In some ways, Khan’s exuberant forays into the transfer market could be classified as the understandable, overenthusiastic moves of a club owner who had just witnessed a sporting miracle. A little over a year ago, Fulham were languishing in 12th position in the Championship, during a period when any talk of Premier League promotion would have been dismissed as absurd. However, a run of 16 wins from their last 21 league fixtures launched Fulham vertically at a rate of knots, and by the close of the regular season, the Cottagers missed out on automatic promotion by just a couple of points. Fulham eventually dragged their way out of the second tier and into the promised land of the Premier League via the playoffs, to cap what had been an extraordinary five months for the club. 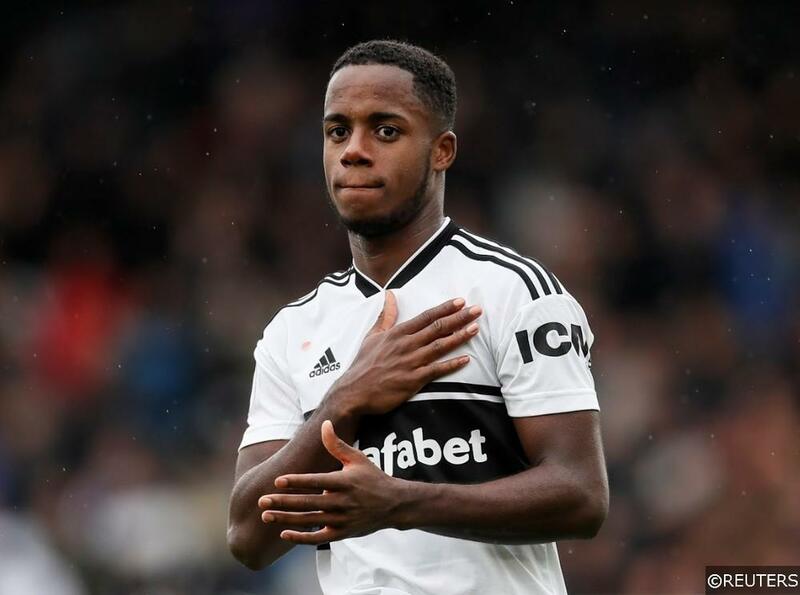 With Craven Cottage still wringing out the euphoria, Fulham wasted no time in laying out their transfer plans, with sports data analytics company TruMedia Networks a key consultant and contributor. 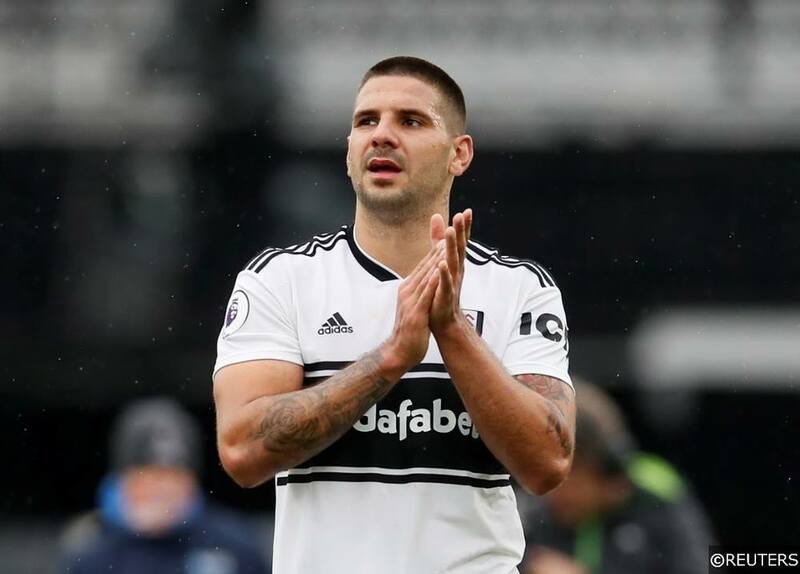 In total, Fulham signed 6 players on permanent deals, including in-demand midfielder Jean Michael Seri from Nice, Alfie Mawson from Swansea and promotion campaign hero Aleksandar Mitrovic from Newcastle. 6 players also arrived on loan, the most notable of which were World Cup winning attacker André Schürrle and Atletico Madrid’s talented schemer Luciano Vietto. The early-window excitement among Fulham’s supporters was tempered a little by the club’s deadline day dealings, where the aforementioned Vietto came through the door along with 4 other last-minute signings. Suddenly, Fulham’s transfer plans were beginning to look more adrenaline fuelled and scattergun rather than premeditated and considered. 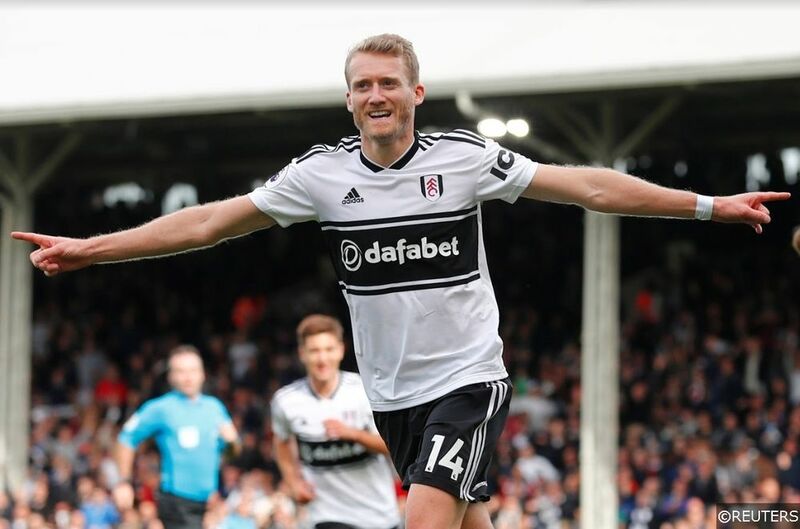 In the second half of the 2017/18 Championship season, Fulham had developed into one of the division’s slickest football-playing outfits under the direction of Serbian boss Slavisa Jokanovic. The Cottagers topped the charts for average possession per game (59.35%) and average short passes per game (487), and Fulham finished as the Championship’s second highest scorers (79) behind title winning Wolves (82). However, instead of maintaining their trust in a team that had learned to play and win together in style, Fulham spent £100m+ on an enormous gut-job. Midfielder Oliver Norwood (39 appearances) also ended his temporary stay and went back to Brighton, while Portuguese forward Rui Fonte (27) was allowed to join French club Lille until the end of the season. And while the majority of those moves were made outside of Fulham’s control, Jokanovic made his own decisions to move more of last season’s Championship stalwarts to the periphery of the team in the Premier League. American defender Tim Ream, who played 47 times last season, has started just 11 of Fulham’s 22 games this term. Midfielder Kevin McDonald, who played 45 times for the Cottagers on their promotion run last year, has started just 7 times this season. Norwegian Stefan Johansen, who racked up 48 appearances last season, has started only 4 league games in 2018/19, while winger Floyd Ayite, who played 29 times in the Championship last year, is still waiting for his first ever Premier League start. Club captain Tom Cairney has also missed a large chunk of action through injury, further accentuating the degree of change in Fulham’s team. If you think Fulham have looked like a bunch of strangers thrown together this season, it’s because they are – and their Premier League performances have reflected that. The mastermind of Fulham’s play-off miracle, Slavisa Jokanovic, paid the ultimate price for the club’s superfluous spending. The 50-year old was sacked on November 14th with the Cottagers sitting bottom of the league table. 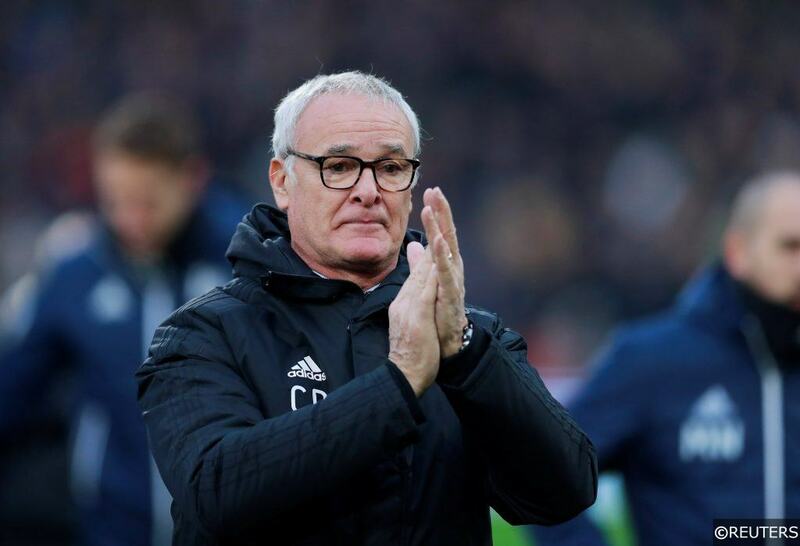 His replacement, former Premier League title-winning manager Claudio Ranieri, hasn’t been able to get a tune out of Fulham’s patch-work squad either. And after securing just 2 wins from his first 10 games in charge, Fulham are currently second from bottom and five points adrift of safety. Relegation then seems a real possibility for Fulham, which immediately raises huge concerns about not only the playing side, but the financial side of the club. How can the Cottagers absorb the monetary hit that comes with relegation on top of their unprecedented £100m spend that didn’t work? Owner Shahid Khan, with a net worth of approximately $7 billion is one of the Premier League’s richest club owners, though Financial Fair Play will limit the extent of any personal Fulham bailout. There are of course, healthy parachute payments for relegated teams – clubs receive a percentage of their final Premier League earnings in season in which they were relegated that drop progressively over a three-year period. They equate to 55% of those earnings in the first year, 45% in year two and 20% in the final year. Based on last year’s figures, where the three relegated clubs, Swansea, West Ham and Stoke City earned around £90m each, Fulham would stand to get £59.5m in year one, £40.5m in year two and £18m in year three. But as substantial as those figures are, they will only be blow softeners in relative terms, rather than problem solvers. A further major overhaul of playing staff and reduction of salary costs at Fulham would still be required immediately after their relegation. Few clubs have been able to handle the short-term scale of change that relegation from the Premier League requires. Of the 30 clubs that were relegated from the top flight over the last 10 seasons, only 6 bounced back immediately through promotion the following year. Fulham take on Tottenham Hotspur at Craven Cottage on Sunday, weighed down by relegation fears and a £100m spend that has acted as an anchor instead of a Premier League propellent. The Cottagers face the ignominy of being labelled the team that paid for their own demise this season, and only another second-half season miracle can change that. Categories: Blog, Football, and Premier League. Tags: Claudio Ranieri, Fulham, Premier League, and Premier League Analysis. Team Tag: fulham. League: England Premier League. Sports: Football.